My first attempt at making a human doll. Designed and crocheted by yours truly. 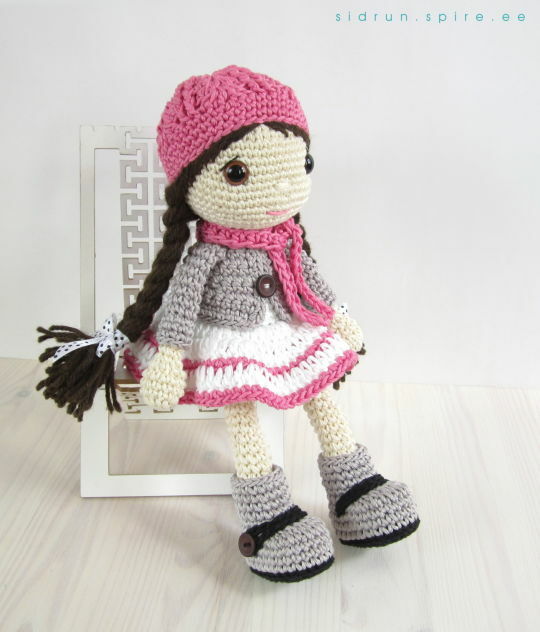 28 cm (11") tall, crocheted with wosted weight cotton yarn (Austermann “Algarve Grande”) and 2.25 mm and 3.5 mm crochet hooks (US size 1/B and 4/E). I absolutely love her. You did such a great job, many cannot do faces but yours is perfect. If you decided to sell the pattern for her please let me know. I’d love to make her for my granddaughters!! Thank you di22! Pattern testing is almost finished, I should have it ready in a few days. I will let you know when it’s available. © 2014-2019 CrochetCommunity. All Rights Reserved. DISCLAIMER: Any posts on CrochetCommunity (CC) are posted by individuals acting in their own right and do not necessarily reflect the views of CC. CC will not be held liable for the actions of any user.